The MYA have a YouTube channel. 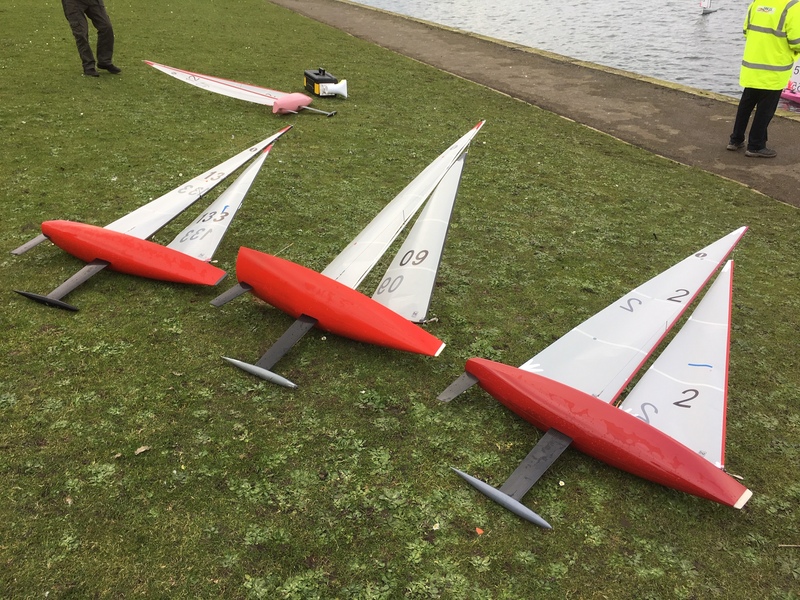 15 boats turned out with a good variance of designs, including V9’s, ‘Slimtel’, ‘Viper’, ‘Widget’, ‘Red Wine’, ‘TS2’ and ‘Britpop!’. The wind was a little erratic though making the sailing interesting and making the fleet bunch together on many occasions but giving the tail enders a good chance to come through with the gusts. Yet again the sportsmanship of all was extremely good and all rules and penalties were taken with no question. Brad Gibson sailed a perfect 6 races before tea time with no one skipper giving him much to worry about. After tea in race 7, Sue Parkington sailed a great race chasing Brad all the way, unfortunately she dropped 2 places at the finish line when not realising it was the finishing leg. As the ‘Beautiful South’ sang though it was Brad that made ‘The Perfect 10’ with the wind from the South, John Brierley sailed consistently to be runner up with Graham Elliott in 3rd and the returning Graham Birkett in 4th. This made for 4 different boats, all World Championship winning designs spanning over 20 years. Thanks to Jack and Bernie for running the race and making the tea.